בספרות הרפואה סינית, ג'ינסנג סיבירי מוכר בעיקר בשמו הלטיני הקודם, Acanthopanax senticosus. ג'ינסנג סיבירי הוא שיח קוצני; מוצאו בצפון ומזרח רוסיה, צפון סין, קוריאה ויפן. 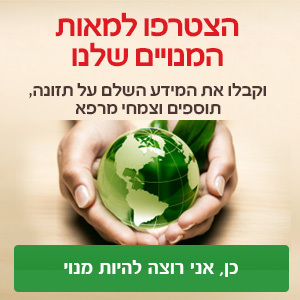 ג'ינסנג סיבירי מותר לשיווק בישראל. ליגנאנים ופניל פרופאנואידים (eleutherosides A-M, senticosides A-F), פוליסכרידים (כוללים גליקנים, eleutherans A-G), סטרולים, סאפונינים, חומצות שומן. סטרס, סוכרת, דיכאון, הפרעות זיכרון, הפרעות קשב וריכוז, חולשה חיסונית, דלקת מפרקים שגרונית (RA), תסמונת התשישות הכרונית. תמצית יבשה תקנית בריכוז 9% eleutherosides – מינון של 400-1000 מ"ג ביום. במספר מחקרים בתנאי מעבדה ובדמם של נבדקים בריאים, לתמציות ו/או למרכיבי ג'ינסנג סיבירי לא נמצאה(21,22) השפעה על מערכת אנזימי ציטוכרוֹם P450. קיים מחקר בודד(23), שבו הרכיבים eleutheroside B ו-eleutheroside E הדגימו עיכוב קל של אנזימי CYP2C9 ו-CYP2E1. לפי מחקר זה, תיאורטית, עלול לעלות הריכוז בדם של תרופות העוברות חילוף חומרים דרך אנזימים אלו. בתנאי מעבדה(52), מיצוי של ג'ינסנג עיכב את פעילות המשאבה החלבונית P-gp (גליקופרוטאין P) בתאי סרטן מעי אנושיים. עיכוב המשאבה עשוי תיאורטית להעלות ריכוזן של תרופות ולהפחית עמידות לתרופות. לא נערכו מחקרים קליניים בנושא ולא ברורה הרלוונטיות הקלינית של ממצאים אלו. ג'ינסנג סיבירי מתאים לשימוש בהנקה(3,6). Mikunis RI et al. The effect of Eleutherococcus on some biochemical parameters of the blood in the combined treatment of patients with rheumatic lesions of the heart. Lekarstvennye Sredstva Dal’nego Vostoka, 1966, 7:227–230. Farnsworth NR et al. 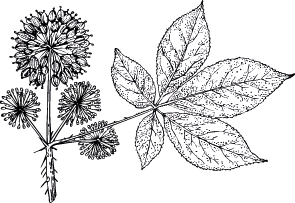 Siberian ginseng (Eleutherococcus senticosus): current status as an adaptogen. In: Wagner H, Hikino H, Farnsworth NR, eds. Economic and medicinal plant research. Vol. 1. London, Academic Press, 1985:217–284. Cicero AF, Derosa G, Brillante R, et al. Arch Gerontol Geriatr Suppl. 2004;9: 69–73. German Federal Minister of Justice. German Commission E for Human Medicine Monograph. Bundes-Anzeiger (German Federal Gazette) no. 11, dated 17.01.1991. Gabrielian ES, Shukarian AK, Goukasova GI, et al. Phytomed. 2002;9(7):589–597. Shakhova EG, Spasov AA, Ostrovskii OV, et al. Vestnik Otorinolaringol. 2003;3:48– 50. Panossian A, Wagner H. Phytother Res. 2005;19(10):819–838. KAloeva, Z. D. [Effect of the glycosides of Eleutherococcus senticosus on the hemodynamic indices of children with hypotensive states]. Farmakol.Toksikol. 1986;49(5):73. Farnsworth NR, Kinghorn AD, Soefarto DD, et al. In: Wagner H, Farnsworth NR, editors. Economic and Medicinal Plant Research, vol. 1. London: Academic Press; 1985. pp. 164–166. Dardymov IV, Suprunov NI, Sokolenko LA. Lek Sredstva Dalnego Vostoka. 1972;11:66–69. Farnsworth NR, Kinghorn AD, Soefarto DD, et al. In: Wagner H, Farnsworth NR, editors. Economic and Medicinal Plant Research, vol. 1. London: Academic Press; 1985. pp. 196–197. Henderson GL, Harkey MR, Gershwin ME et al. Effects of ginseng components on c-DNA-expressed cytochrome P450 enzyme catalytic activity. Life Sci 1999;65:PL209-PL214. Donovan JL, DeVane CL, Chavin KD et al. Siberian ginseng (Eleutheroccus senticosus)effects on CYP2D6 and CYP3A4 activity in normal volunteers. Drug Metab Dispos 2003;31:519-522. Dasgupta A, Wu S, Actor J et al. Effect of Asian and Siberian ginseng on serum digoxin measurement by five digoxin immunoassays: significant variation in digoxin-like immunoreactivity among commercial ginsengs. Am J Clin Pathol 2003;119:298-303. Dasgupta A, Syklawer E, Johnson M, Hwang SA, Boyd SA, Actor JK. Effect of Chinese medicines Chan Su, Asian ginseng, Siberian ginseng, and American ginseng on a new digoxin immunoassay based on luminescent oxygen channeling technology. Ther Drug Monit. 2011 Oct;33(5):644-8. McRae S. Elevated serum digoxin levels in a patient taking digoxin and Siberian ginseng. Can Med Assoc J 1996;155:293-5. Chen J, Chen T. Chinese Medical Herbology and Pharmacology. City of Industry, CA: Art of Medicine Press Inc; 2004. Szolomicki, J., Samochowiec, L., Wojcicki, J., Drozdzik, M., and Szolomicki, S. The influence of active components of Eleutherococcus senticosus on cellular defence and physical fitness in man. Phytother.Res 2000;14(1):30-35. Molokovskii, D. S., Davydov, V. V., and Tiulenev, V. V. [The action of adaptogenic plant preparations in experimental alloxan diabetes]. Probl.Endokrinol. (Mosk) 1989;35(6):82-87. Hikino, H., Takahashi, M., Otake, K., and Konno, C. Isolation and hypoglycemic activity of eleutherans A, B, C, D, E, F, and G: glycans of Eleutherococcus senticosus roots. J Nat.Prod. 1986;49(2):293-297. Martinez, B. and Staba, E. J. The physiological effects of Aralia, Panax and Eleutherococcus on exercised rats. Jpn.J Pharmacol 1984;35(2):79-85. Medon, P. J., Thompson, E. B., and Farnsworth, N. R. Hypoglycemic effect and toxicity of Eleutherococcus senticosus following acute and chronic administration in mice. Zhongguo Yao Li Xue.Bao. 1981;2(4):281-285. Sievenpiper, J. L., Arnason, J. T., Leiter, L. A., and Vuksan, V. Decreasing, null and increasing effects of eight popular types of ginseng on acute postprandial glycemic indices in healthy humans: the role of ginsenosides. J Am Coll.Nutr 2004;23(3):248-258. A. S. Hovhannisyan, H. Abrahamyan, E. S. Gabrielyan, and A. G. Panossian, “The effect of Kan Jang extract on the pharmacokinetics and pharmacodynamics of warfarin in rats,” Phytomedicine 13(5) (2006): 318–23. Yun-Choi HS, Kim JH, Lee JR. Potential inhibitors of platelet aggregation from plant sources, III. Journal of Natural Products, 1987, 50:1059–1064. Bazaz'ian, G. G., Liapina, L. A., Pastorova, V. E., and Zvereva, E. G. [Effect of Eleutherococcus on the functional status of the anticoagulation system in older animals]. Fiziol.Zh.SSSR Im I.M.Sechenova 1987;73(10):1390-1395. Brekhman II. Report on the use of Eleutherococcus with breast cancer patients.Eleutherococcus: Clinical Data. Institute of Oncology, Georgia: USSR Foreign Trade Publication, Medexport, USSR; 1970. Hacker B, Medon PJ. Cytotoxic effects of Eleutherococcus senticosus aqueous extracts in combination with N6-(δ-2-isopentenyl)-adenosine and 1-β-D-arabinofuranosylcytosine against L1210 leukemia cells. J Pharm Sci 1984;73:270-272. Monakhov BV. Reduction of toxicity of some antiblastoma drugs by Eleutherococcusextract. Vopr Onkol (Russian) 1967;13:71-76. Yonezawa M, Katoh N, Takeda A. Radiation protection by Shigoka extract on split-dose irradiation in mice. J Radiat Res (Tokyo) 1989;30:247-254. Miyanomae T, Frindel E. Radioprotection of hemopoiesis conferred by Acanthopanax senticosus Harms (Shigoka) administered before or after irradiation. Exp Hematol 1988;16:801-806. Minkova M, Pantev T. Effect of Eleutherococcus extract on the radioprotective action of adeturone. Acta Physiol Pharmacol Bulg 1987;13:66-70. Bespalov VG, Aleksandrov VA, Semenov AL, Kovan'ko EG, Ivanov SD. [Comparative effects of difluoromethylornithine and tincture of Siberian ginseng root on radiation carcinogenesis and life span in rats]. Adv Gerontol. 2012;25(2):293-300. Farnsworth NR, Kinghorn AD, Soefarto DD, et al. In: Wagner H, Farnsworth NR, eds. Economic and Medicinal Plant Research, vol. 1. London: Academic Press; 1985. pp. 179–182, 193, 195. Curtze A. Die Arzneipflanze Eleutherococcus senticosus Maxim. in der Bundesrepub- lik Deutschland. Der Kassenarzt, 1980, 20:497–503. Dardymov IV et al. Absence of toxicity of Eleutherococcus glycosides during admin- istration for two months. Lekarstvennye Sredstva Dal’nego Vostoka, 1972, 11:66– 69. Yarbro CH et al. Eds. Cancer Nursing: Principles and Practice. 6th ed. 2005.